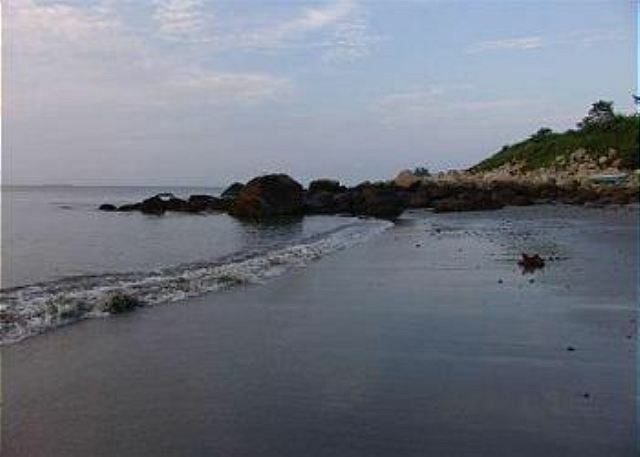 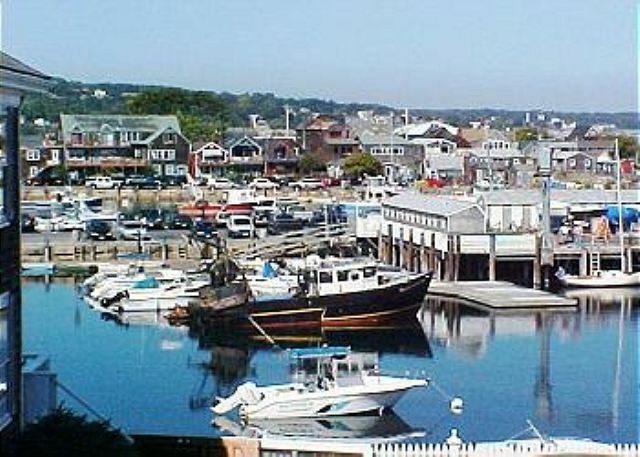 Ideally situated a short stroll from Old Garden Beach and the lively, historic and quaint oceanfront village of Rockport! 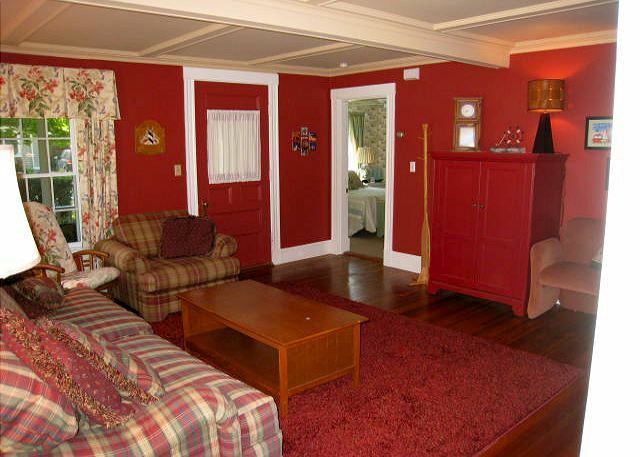 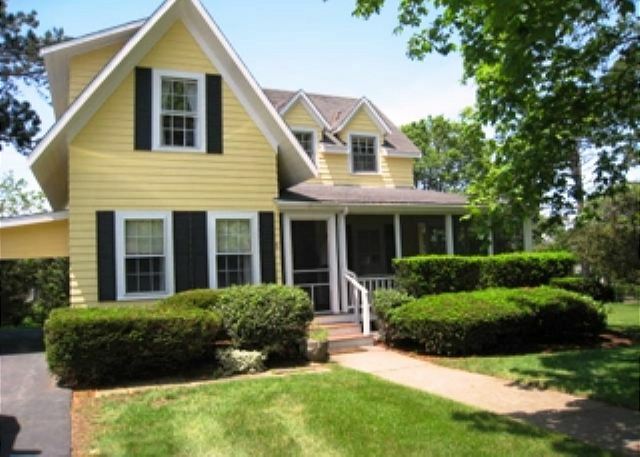 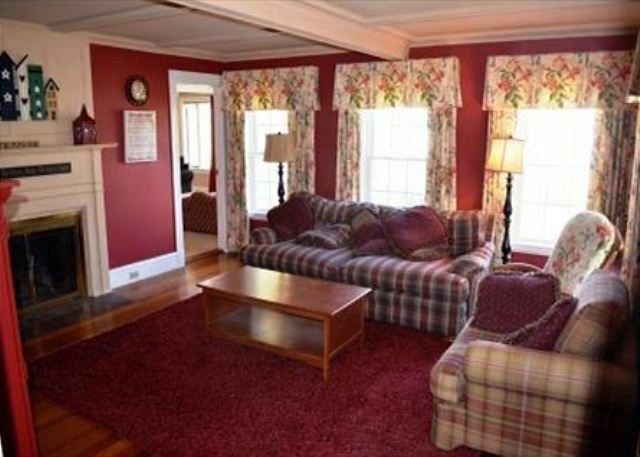 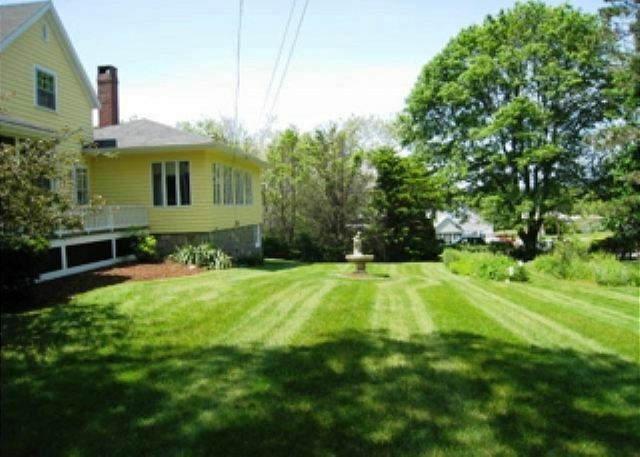 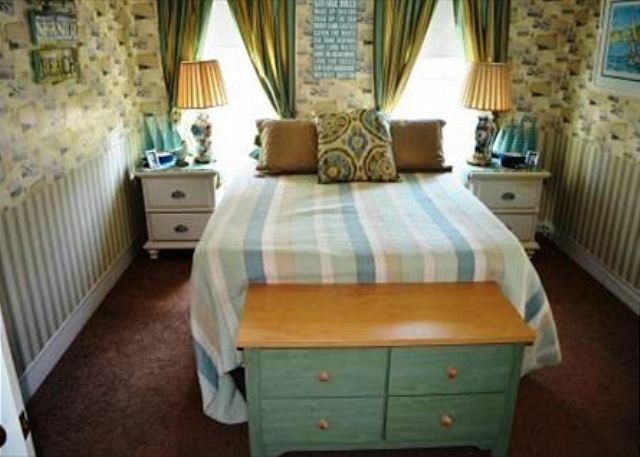 Gram’s Cottage is a delightful and completely refurbished 4 bedroom, 2.5 bath home perfect for your New England vacation. 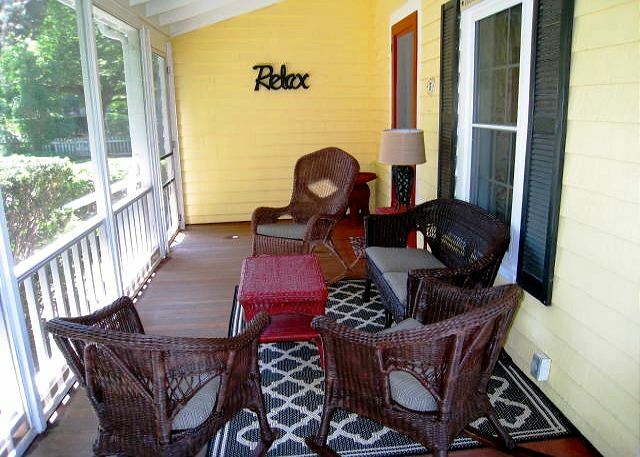 Relax on the lovely wraparound, partially screened farmer's porch and revel in the cottage’s serene setting in a quiet, tree-lined neighborhood, just far enough from the hustle and bustle of downtown, but close enough to be convenient. 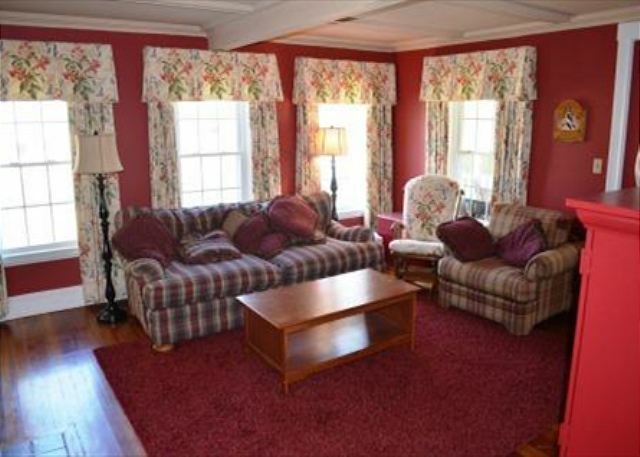 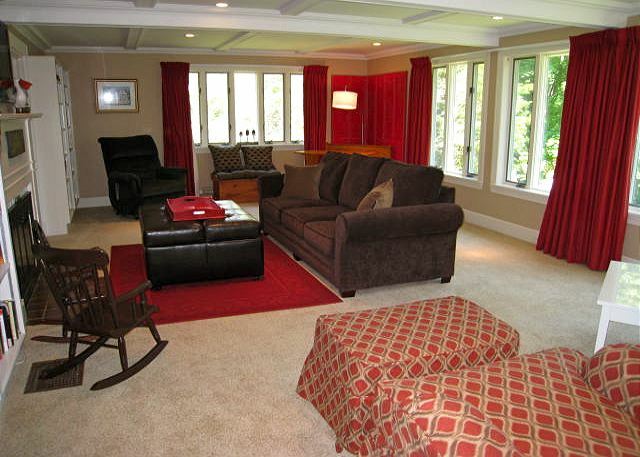 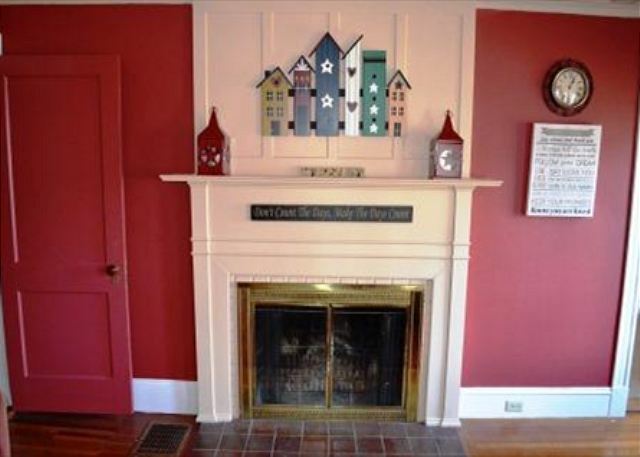 The living room has something for every personality, and comes complete with a 42 inch flat screen TV, perfect for anyone who likes to remain up to date in current events and a fireplace for those looking to experience a bit of New England’s rustic charm. 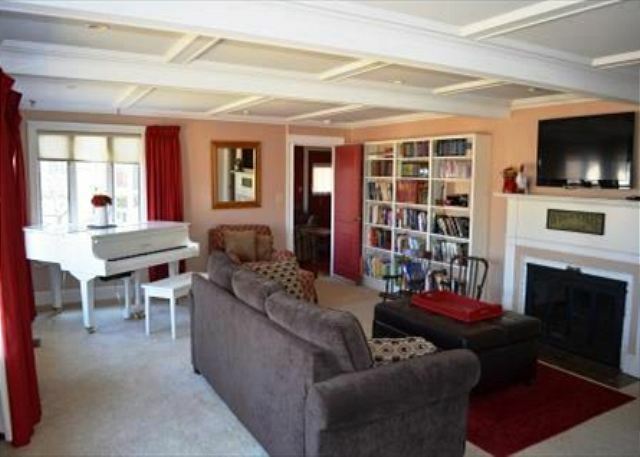 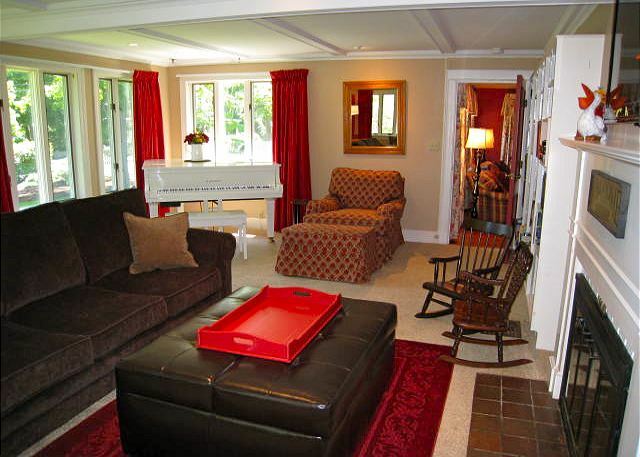 Make your own special memories in the huge family room, which has another fireplace, plenty of comfy seating, and baby grand player-piano, perfect for any musicians in your group. 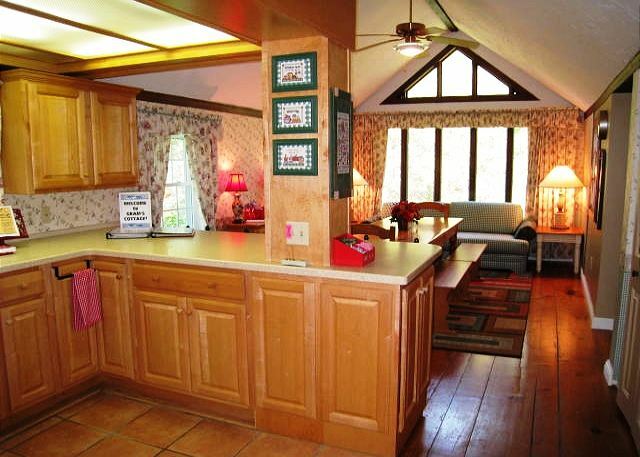 The bright, open floor plan, fully-applianced kitchen, and dining room (including a full-sized sofa!) 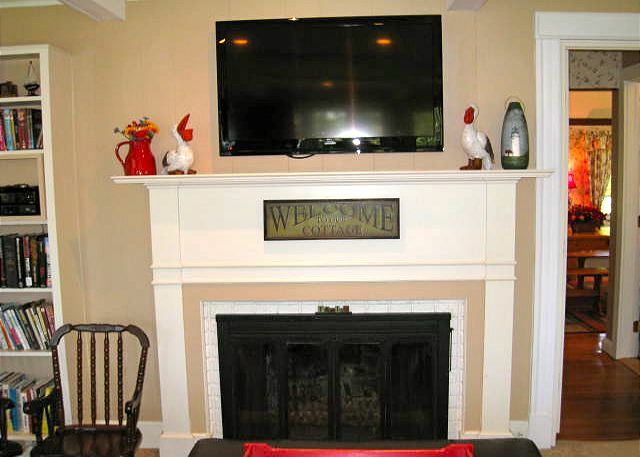 are also ideal places to come together and socialize in a comfortable, relaxed atmosphere. 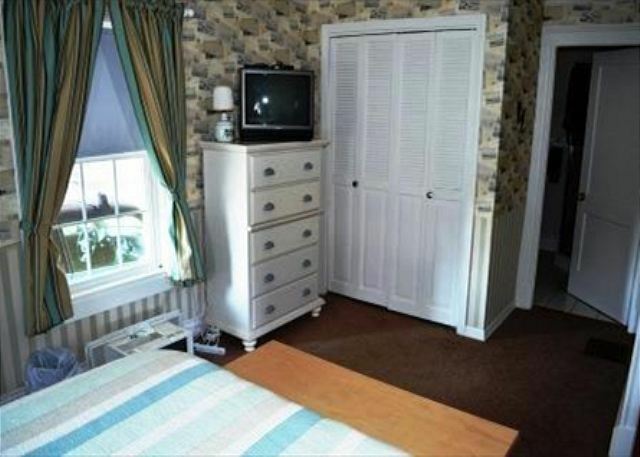 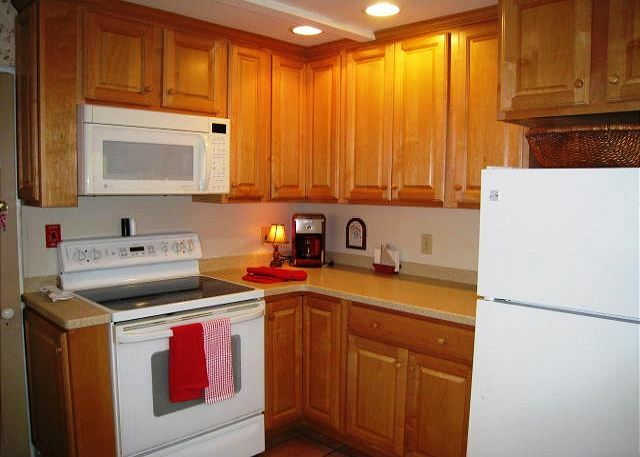 Adjoining is a half bath and a stacked washer/dryer, neatly hidden in a closet. 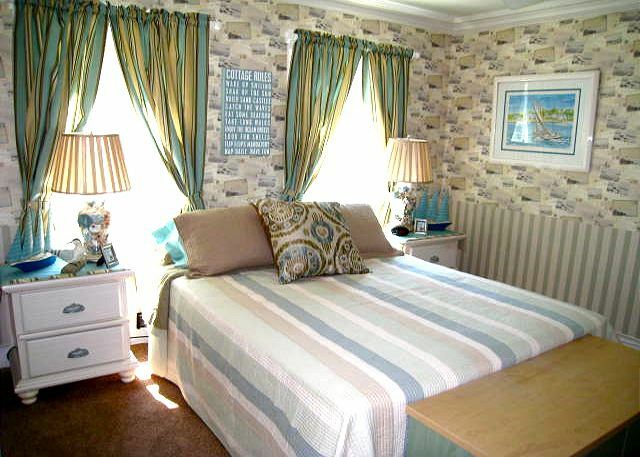 Rounding out the first floor is a beach-themed queen bedroom with an ensuite full bath with a shower the perfect place to rest your eyes after a long day at the beach! 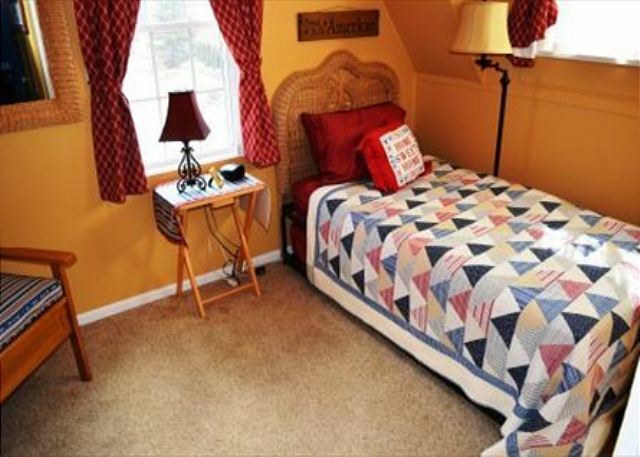 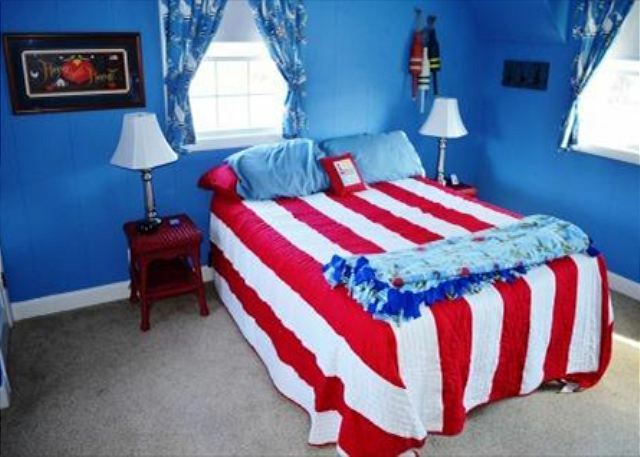 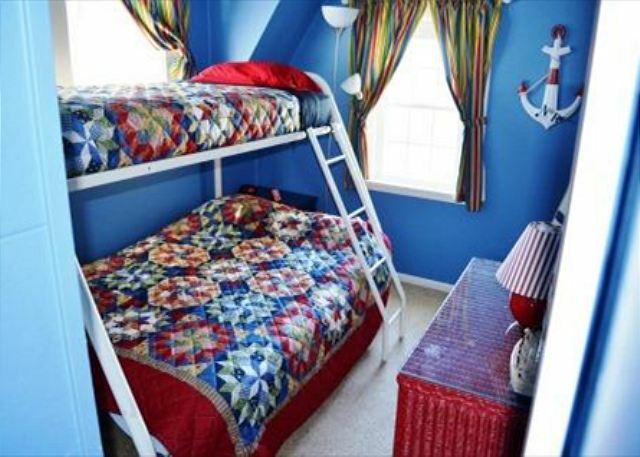 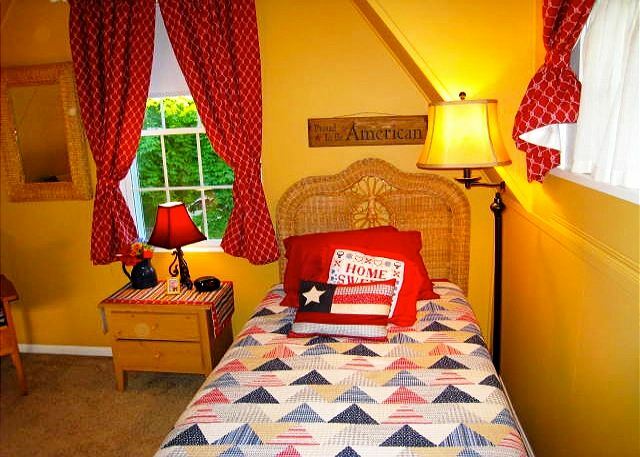 The second floor has a patriotic themed bedroom with a single bed and pullout trundle bed, a sailing themed bedroom with twin-over-full sized bunk beds, a nautical themed bedroom with a queen bed, and an updated full bath complete with a shower and tub. 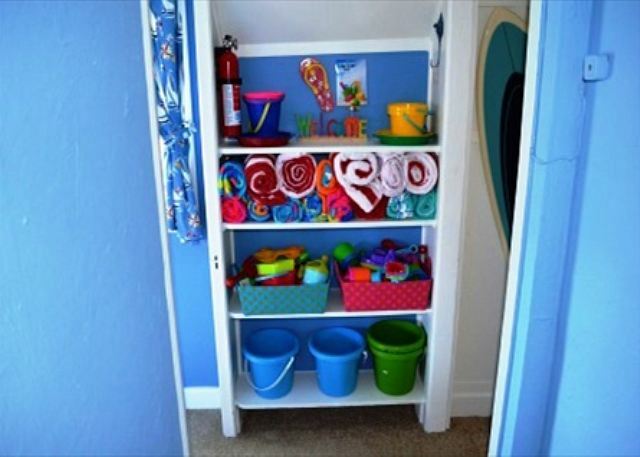 The cottage even has a beach supply area including beach towels and kids' sand toys to ensure that you and your guests enjoy the best beach experience possible. 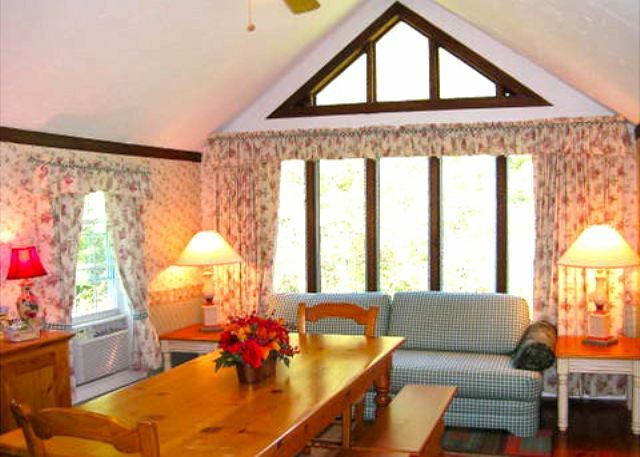 All rooms have their own air conditioning units, which guarantees that everyone in your party will be cool for the duration of your vacation. 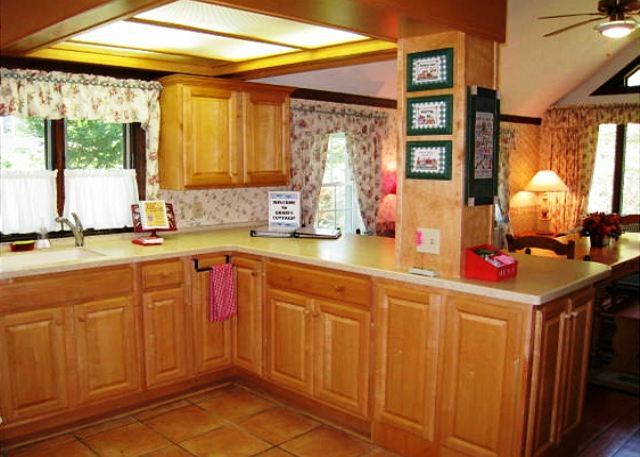 Off of the kitchen is a small deck with a gas grill, which is perfect for a backyard barbecue, as well as a covered carport. 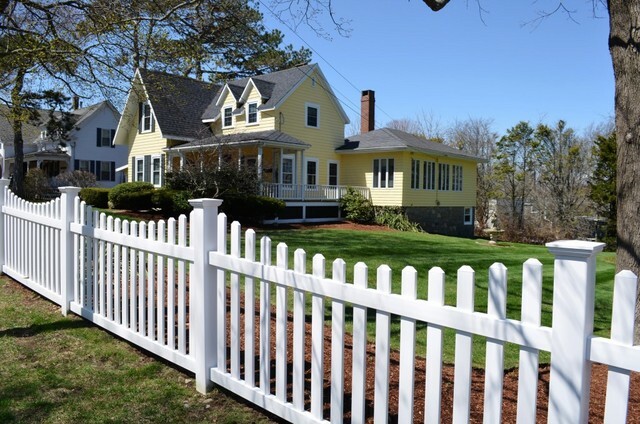 Gram’s Cottage sits pretty on a large corner lot with a wide expanse of verdant yard complete with gardens and surrounded by a storybook-style white picket fence. 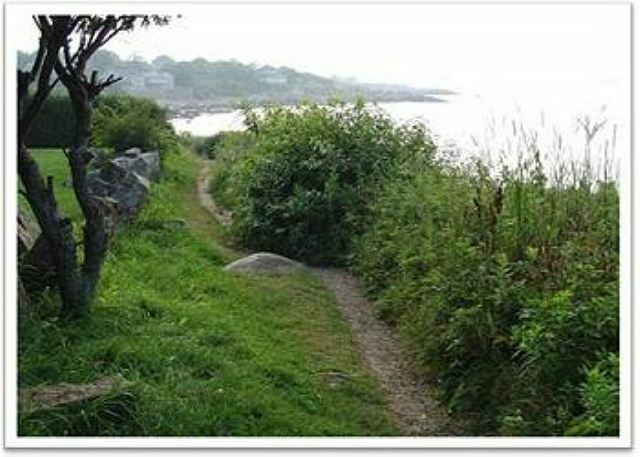 Public tennis courts, a playground, and public transportation to all of Cape Ann and the commuter train to Salem and Boston are all easily accessible via a short walk or drive. 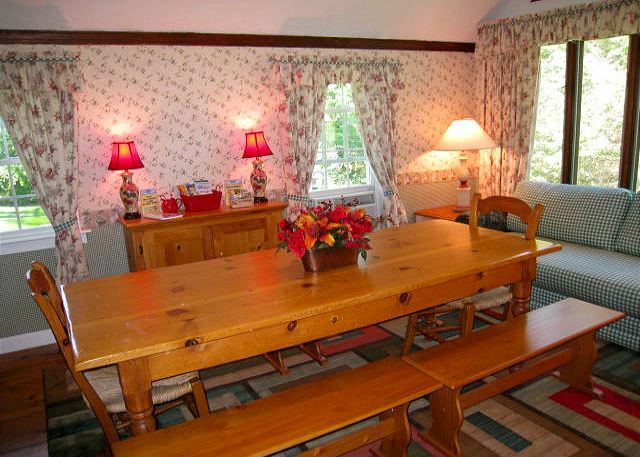 However you and your group prefer to let off steam and vacation, Gram’s Cottage is the perfect “base of operations” that will ensure that everybody will have the time of their lives in comfort.